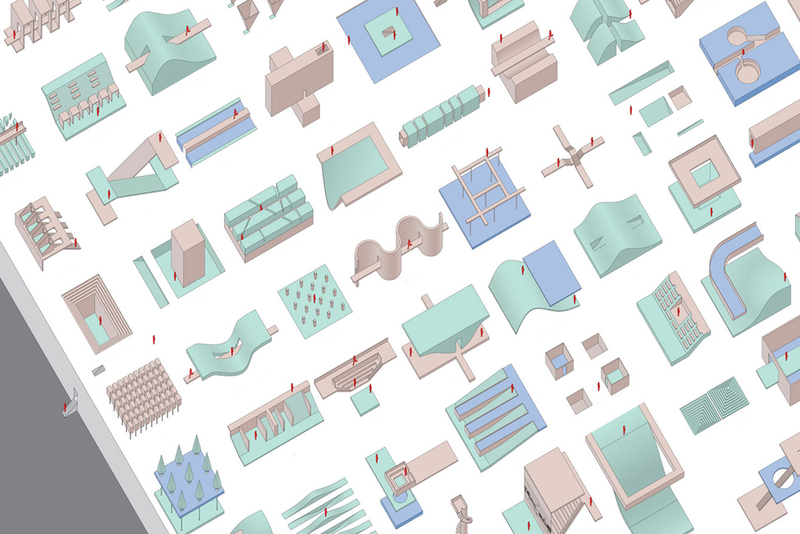 Seattle Center is currently an assemblage of several large box programs – a series of single use buildings which function somewhat autonomously from their neighbors, but are all associated within a loose collective. Adjacent to the site is a large un-programmed green space, representing a Modernist sensibility of flexibility via apathy. The trajectory or inertia on the site would seem to call for more large single use programs. Rather than continuing the modern planning strategy of creating a singular grand aerial image representing a singular gesture, which is imperceptible to the occupant, the focus is on creating a series of spatial moments. These individual moments, like stills from a film, are woven together in various ways through the modes in which the occupant uses the space. These moments are not follies, in that they are not additive, but are resultants from the intersections of other systems. This strategy resists the lure of monumentality in favor of pluralities. The proposal favors edge over scale. They are not only the ecologically rich edges between different landscape types, but are borders between many different systems. The superimposition of these elements – topography, program, infrastructure, circulation and landscape – creates a maximum amount of potential on the site. The current site inertia is reversed by the realization that a series of carefully considered user experiences can be more powerful than broad brush strokes. Previously just a tourist destination, the entirety of the new site becomes a magnet for a series of small-scale local interactions. Flexibility is compartmentalized rather than being uniform and finding a fixed position. Program is adjustable and allowed to flux, but is made possible by the infrastructure. New possibilities exist by the new terrain. Citizens and tourists alike find an exhilarating reprieve from the urban fabric and large boxes.